Pick-up at the hotel at 8:30 and transfer to the main harbour for the shipment. 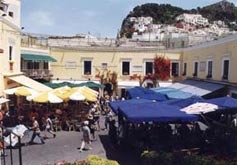 From the port in Capri transfer to Anacapri by minibus. Free time to visit Villa S.Michele or to get to Mont Solaro by chairlift (tickets not included). Return to Capri for lunch (drinks are not included). 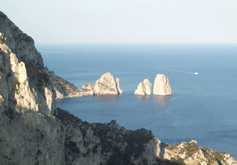 In the early afternoon walk to Augustus’ gardens and free time to see the Blue Grotto. Return to Naples and drop off at the hotel at around 5:00 p.m.
euro 112,50 per person + 2,50 tax in the port. Price is inclusive of transfers from and to the harbour, passages, lunch, minibus and guide.